Taglit-Birthright Israel recruitment is almost here and when coupled with the start of the semester, it can be a hectic time of year. Planning welcome back events, Shabbat dinners and intern trainings can get in the way. In this post, I’ll share a way to use your trip alumni and students to help recruit new trip participants. Start with contacting your Birthright alumni and asking them to send you a photo of their favorite Taglit-Birthright moment. Mention that the photos will be added to an album once the submission process is over and you will add your logo and the link to register. I’d suggest offering an incentive for the photo with the most likes, but also offer an incentive for the alumnus who can recruit the most friends. Once you have added text to your photos, upload them to an album on your Facebook page. After the photos have been uploaded, send a link to the album to those who submitted photos. Send the email the day before registration opens, so social shares will coincide with when folks can actually register. You can also include a parameter that in addition to sending in a photo, entries will need to include a quote or caption to be included with the photo. 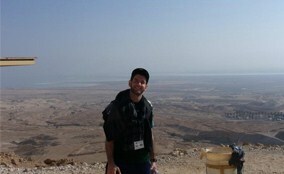 “The best part about Taglit-Birthright Israel is the views” – Adam G.
Register for this FREE 10 day trip to Israel at freeisraeltrip.org. This trip is a gift from Taglit-Birthright Israel. This is a really easy way of turning your Taglit-Birthright alumni into your marketing team. They will be incentivized to get their friends to like their photo because of the contest prize. I call it motivation marketing. They’ll hopefully participate because you have a relationship with them. I just registered for a FREE 10-day trip to Israel. You should too! 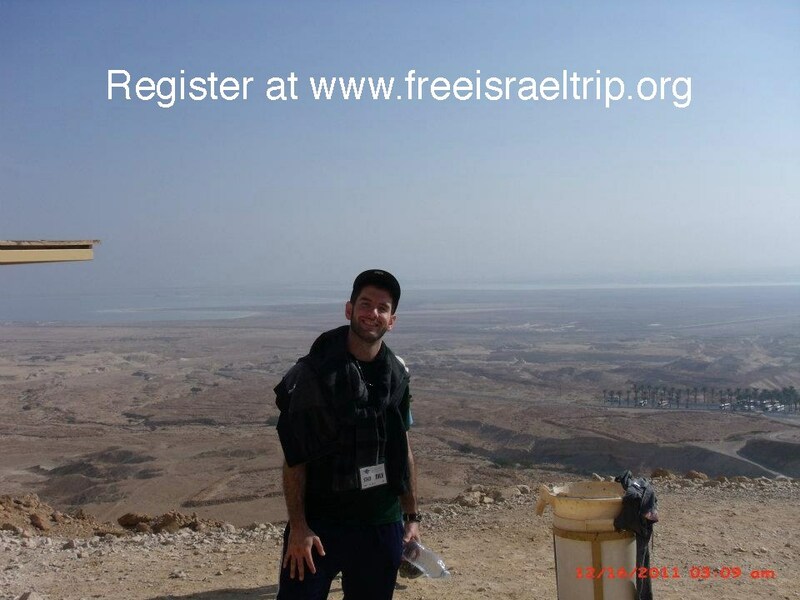 Register at freeisraeltrip.org to join me this winter in Israel. When friends within the same “real life” social circles share the same link, Facebook groups those posts together, which may get the attention of others on the fringe of those social circles. The more sharing, the more News Feed stories it creates, and the better off you will be. If recruiting for this free 10 day trip to Isreal seems daunting, you may need some extra help. 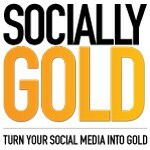 SociallyGold can assist you with your Taglit-Birthright marketing campaign with consulting, image editing and more. Contact me if you’d like to learn more about how I can help.